Why say it with flowers when you can show it with meat snacks? That’s one way to sum up Operation Slim Jim, in which the snack brand gave consumers the chance to show their support of U.S. troops. Via print ads in WWE magazine, in-store displays, online ads, and social media, Slim Jim and agency TRIS3CT urged the target audience—primarily males 18-24 years old—to “Drop the troops a line, we’ll drop them a Slim Jim.” Consumers could log on to Slimjim.com or the brand’s Facebook page and enter their name, city, and a message to be printed on the wrapper of one of the 1 million Slim Jims the company would be sending to troops worldwide. Though seemingly simple, the campaign was a perfect marriage of audience and brand. 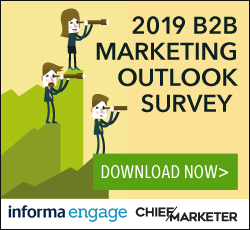 Research showed that young adult males, who make up a large portion of Slim Jim’s target market, not only prefer to buy products that support a good cause, but are also more likely to tell friends and family about those products via social media. 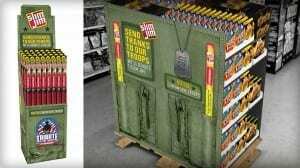 Research also showed that Slim Jims are one of the most requested snacks by U.S. soldiers in the field, because they’re pocket-size and packed with protein. All told, more than 115,000 supporters did say it with Slim Jims, with messages such as “You guys are real-life heroes!” and “Thank you for your service and inspiring work.” On average, 10,000 people visited the brand’s website and Facebook page each week during the five-month campaign, and Operation Slim Jim generated more than 30,000 shares on Facebook and Twitter.And retailers were so enthused about the program and the POP displays that the brand is already planning a similar promotion for next year.